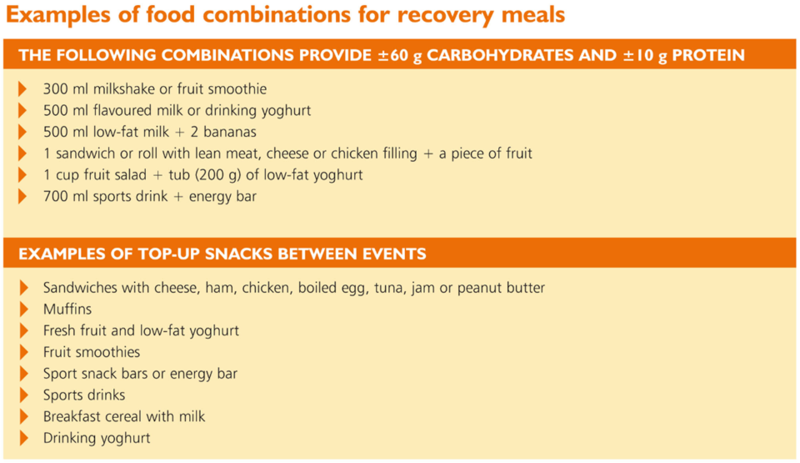 Optimal nutritional recovery maintains energy levels and limits tissue breakdown, especially during high training loads. Glycogen stores are optimally replenished within one to two hours after exercise has stopped. An increase in training load is associated with an increase in fitness level, but it is often overlooked that the real gains in exercise capacity occurs when the body is at rest. Although the workout acts as the important stimulus for the adaptation process, metabolic recovery and rebuilding occur at rest. 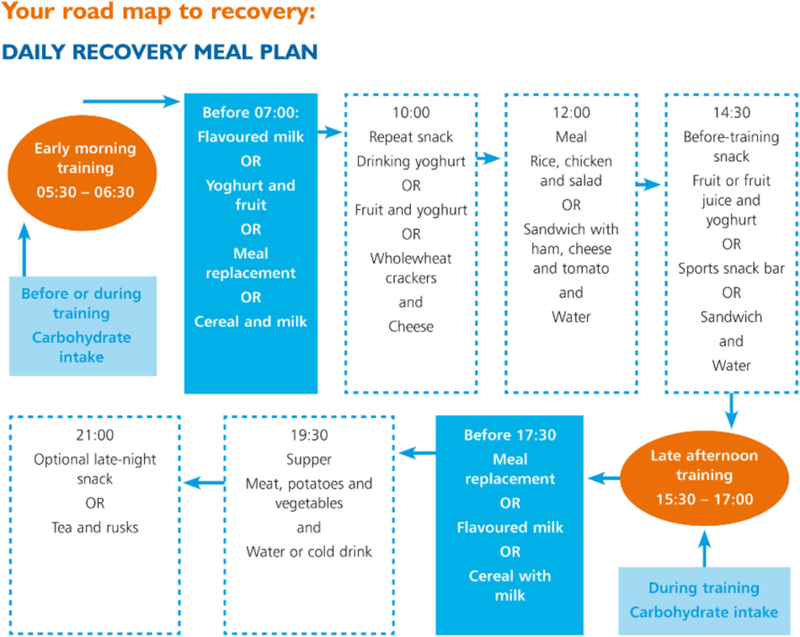 One of the key components to support the body for optimal recovery is the timely intake of nutrients, i.e. eating at the right time. 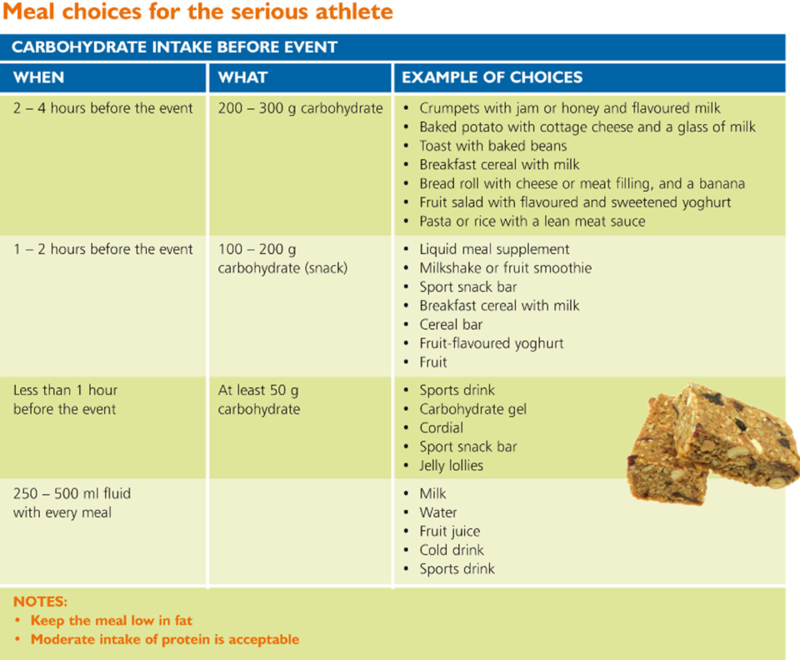 Carbohydrates are the primary fuel source during training. The body uses blood sugar and glycogen stored in the muscles as its carbohydrate sources. 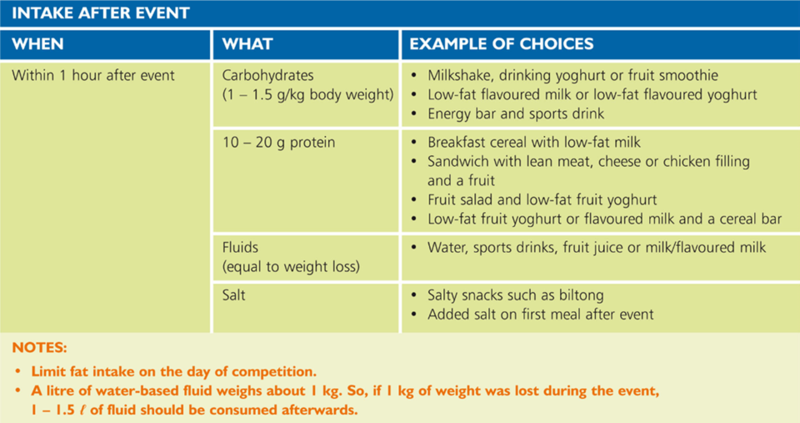 Owing to relatively little glycogen being available, it is important to replace carbohydrates regularly to avoid running out of fuel. When glycogen stores are depleted, the body resorts to muscle protein as its emergency high-intensity fuel source. Repeatedly failing to replenish glycogen stores will cause additional tissue breakdown. Poor nutritional recovery can lead to complaints of “lead legs” or a feeling that you cannot keep up. The body will also react by an increasing resting heart rate. If an athlete does not recover between events in multi- day competitions, it can lead to poor performance and increased feelings of fatigue. · Start the replenishment process during practice if the session is longer than an hour. 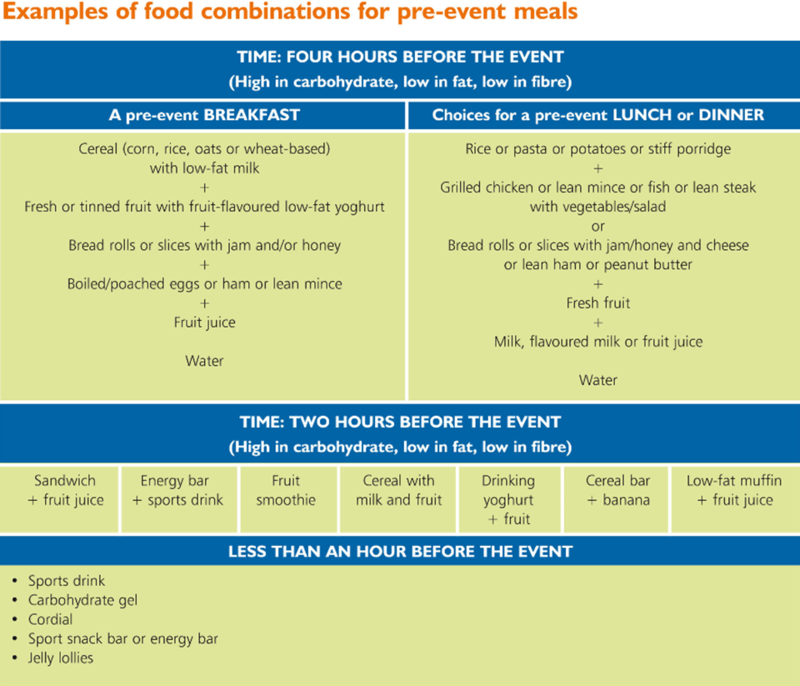 · Eat immediately after the training session if recovery time is less than 24 hours prior to the next training session. This snack should contain a substantial amount of carbohydrate (1.2 – 1.5 g carbohydrate/kg body weight) and some protein (0.25 – 0.4 g protein/kg body weight). · Follow up with a post-training snack an hour later. · Eat a main meal within two hours after a workout. · Include a variety of carbohydrate sources such as fruit, fruit juices, milk, low-fat flavoured yoghurt, drinking yoghurt, bread or cereal as snack options. · Add protein sources such as meat, peanut butter, cheese, milk, yoghurt, legumes. 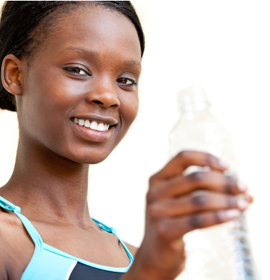 · Rehydrate properly by including liquids to replenish lost fluids. A volume equal to 125 – 150% of the post-exercise fluid deficit must be drunk to compensate for ongoing losses and ensure that fluid balance is restored over the first 4 to 6 hours of recovery.